The CAA had issued a forecast for the possibility of 10 to 209 cm's of snow. We got the latter. At 3p.m. 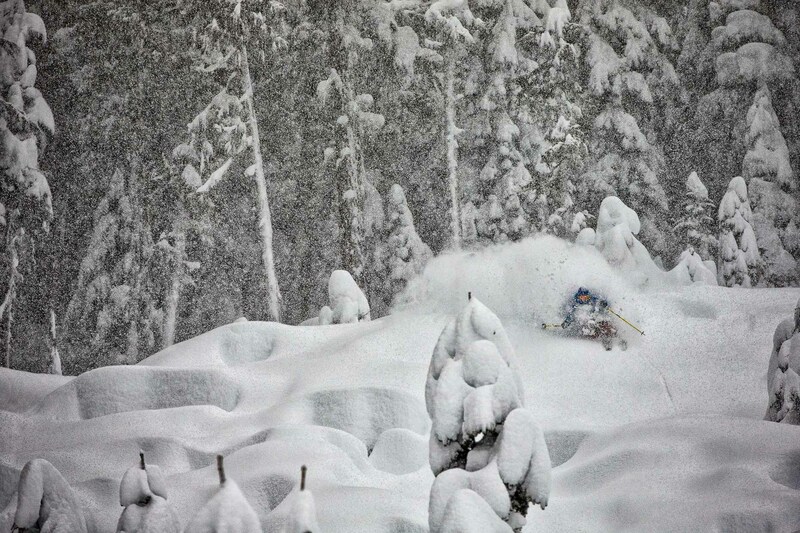 James Heim made what he thought would be the last turns of his day in the backcountry near Pemberton. He still had an hour-long snowmobile ride out, and the sun would soon set. Mid-descent, we came across a 500-foot powder field where old conifers with snow-sunken branches opened to a highway of pillows. We just couldn't say no as the deluge of flakes continued to fall. From the top, Heim floated from pillow to pocket with the over head deep snow uncharacteristically light as it billowed around him with each turn. We skied 9 more laps after this and returned to our trucks well after dark.